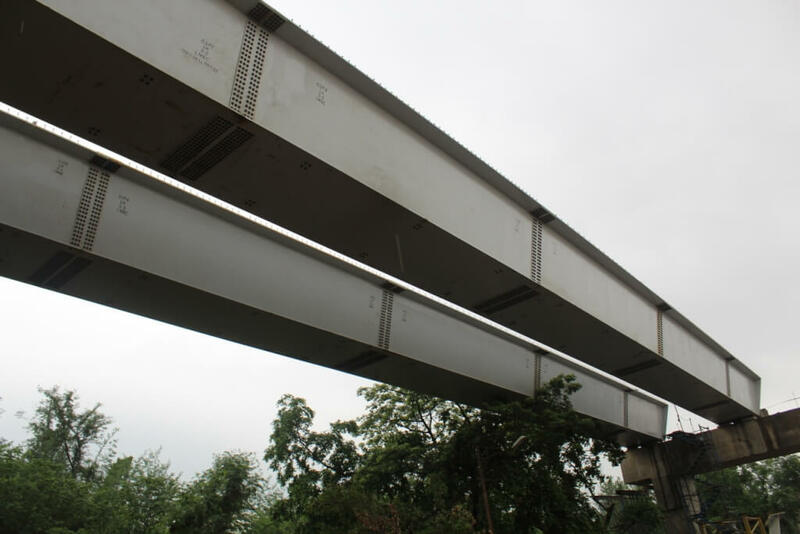 Lucknow Metro set target to install special cantilever span over Gomti Nagarby September this year. Construction of special span of 180 meters is started between Indira Nagar Metro Station and Munshipulia. 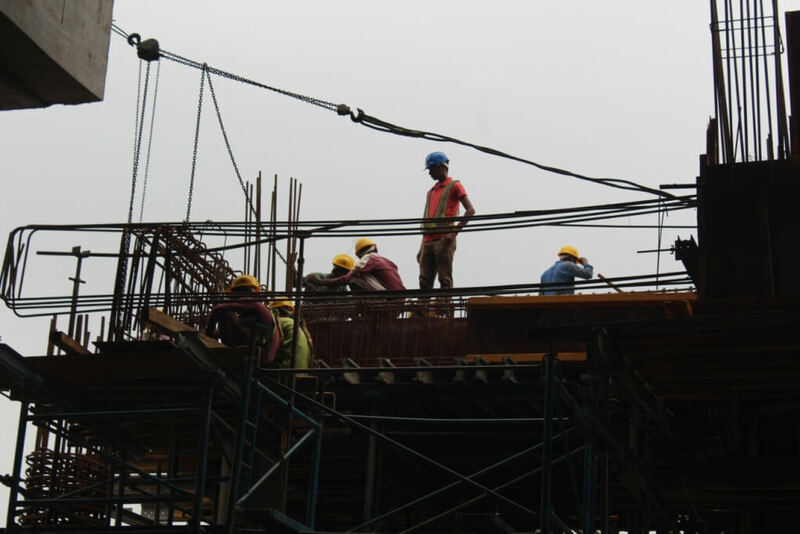 The construction work for the stairs at all metro stations are in full pace whereas on other side the construction work for concourse area’s base slab of all metro stations are completed. New Delhi: The Lucknow Metro Rail Corporation (LMRC) today informed that the LMRC Managing Director, Kumar Keshav reviewed the development progress of Metro construction work on the North-South Corridor of Section (1B). The contractors were also accompanied with him during the entire inspection. He first oversaw the ongoing construction work of KD Singh Metro Station which will be the first metro station of this section. The work of this metro station is at full pace with the work of framing, stairs, entrance and exit gates have done in their advance form. The work of Metro Cantilever Bridge (45 Meters) going through Subhash Chandra Park has been completed with the installation of U-girders. Now the work of linking the two sides of the Special Cantilever Bridge is being done. The MD Lucknow Metro has expressed his satisfaction while visiting the construction site. The Managing Director, in his visit, also saw the work of the University and I.T. Metro Station. 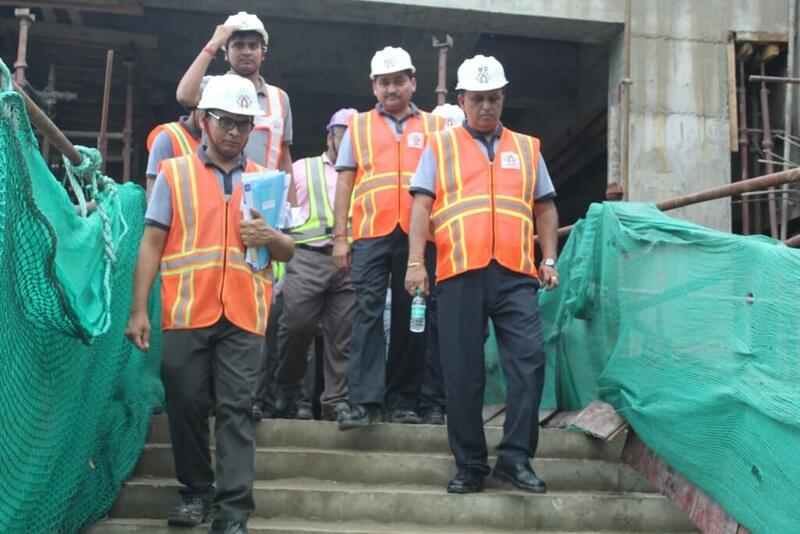 He has inspected the work of making concourse slab with the work of entrance and exit etc. The work of Second Special Cantilever Bridge(60 Meters) near Karamat College is also in full progress. After this, The Managing Director also saw the ongoing works of the Badshah Nagar, Lekhraj, R.S. Mishra, Indiranagar and Munshipulia Metro Stations where he oversaw the work of making the staircase at all Metro stations which are in progress. From the Indiranagar Metro Station, on the top of the polytechnic flyover, the Metro has started work of its Cantilever Bridge. And the process of connecting this cantilever bridge with the metro pillar near the flyover is being done. The total length of this Bridge will be of 180 Meters. Where on one side U-girder are installed which is also followed by laying of tracks and OHE Mast in all elevated S of this section. The remaining work for keeping the U-Girder at the kukrail Nala, Polytechnic, Nishatganj, and IT crossing will start soon.